SUNSHINE COAST, B.C. – A conservation group is looking for public support in its efforts to keep old growth trees standing on the Sunshine Coast. 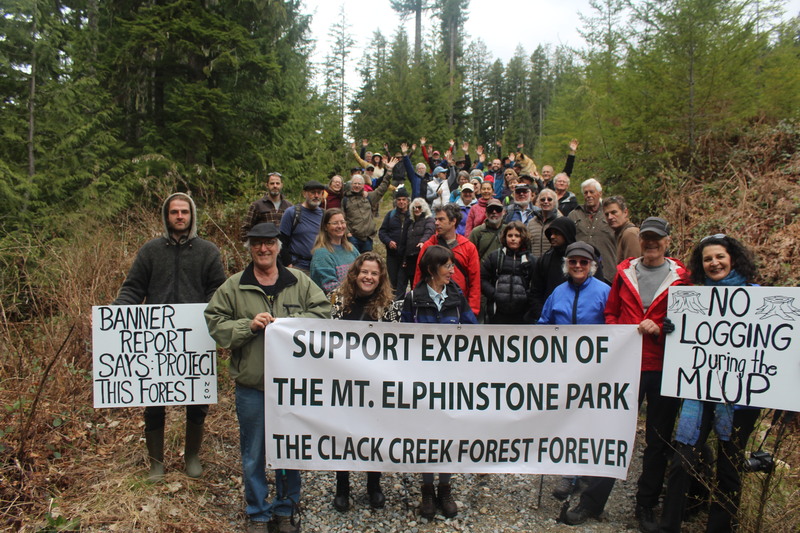 The Elphinstone Logging Focus (ELF) is pushing to preserve part of the Elphinstone Clack Creek Forest. 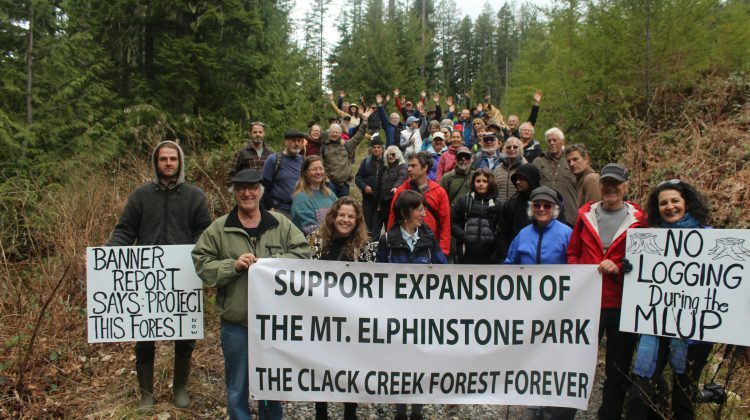 The forest is located at Mount Elphinstone Provincial Park, near Roberts Creek, north of Gibsons. To preserve connectivity between the three tiny Mount Elphinstone Park islands. There is a Land Use Planning process that will be starting soon that will be addressing land use on the Elphinstone slopes. Other points are that this Sunshine Coast Forest District only has three percent of its forests protected, while other forest districts in the Province have an average of 15.1 percent, according to ELF. The post also states that 84 percent of the park proposal area is made up of blue (of concern) and red (in danger of extinction) listed plant communities. ELF member Hans Penner said in the late 1990s, the area was identified as environmentally important, and a park proposal was made by a local group. “ELF has been aware of this particular block for a number of years, probably about five years now, and we’ve objected for a number of reasons including not enough setback from streams, threatened rare plant communities, and other reasons,” Penner said. Penner hopes the letter writing campaign will make a difference.